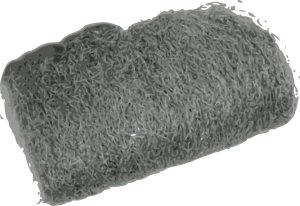 This stainless steel Wool is made from alloy type AISI 434 stainless steel, a corrosion resistant steel. 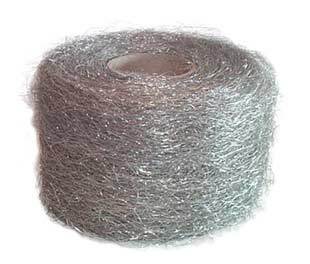 This is a woven web of stainless steel wool approximately 1/4" thick in a relaxed state and 4" wide. 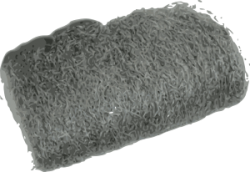 Stainless steel wool is used to wrap LP-Gas fueled pilot lights on flame effects to make them more wind resistant.